Ghibli Blog: Studio Ghibli, Animation and the Movies: Tales From Earthsea - Do I Really Have to Review This Movie? Tales From Earthsea - Do I Really Have to Review This Movie? My take on Tales From Earths? Toshio Suzuki panicked. This had more to do with Ghibli's line of succession than anything else. Goro Miyazaki was picked in a flash, in hopes that he could be molded into his father's career, but without ever properly paying his dues. This was proven to be a mistake, a very rare one for Suzuki-san. His instincts have nearly always been impeccable. Oh, well, they managed to rebound nicely. What I hated about this movie was how Goro wasted so much time airing the family's dirty laundry in public. I found that offensive. I also found it offensive that he was dropped into the director's chair, and presumably the throne of the empire itself, like a spoiled prince. How that must have angered the lapsed socialist father! Then, after piling on the family melodrama in public, Goro arrives with a movie that shamefully steals from his father. WTF?! He rips off the castle chase from Puss in Boots. He rips off the 1982 manga The Journey of Shuna. He rips off Nausicaa and Heidi. He rips off the battle with the wolves from Horus, Prince of the Sun (don't dare call it "little norse prince"!) - a spectacular opening from the most important anime movie ever made. Ugh! What original idea does Goro have? Oh, yes - the opening scene where the hero kills his father. Good grief. Jim Morrison called, and he wants his shtick back. What an embarrassment. Over time, however, I've grown to be more sympathetic to Goro. 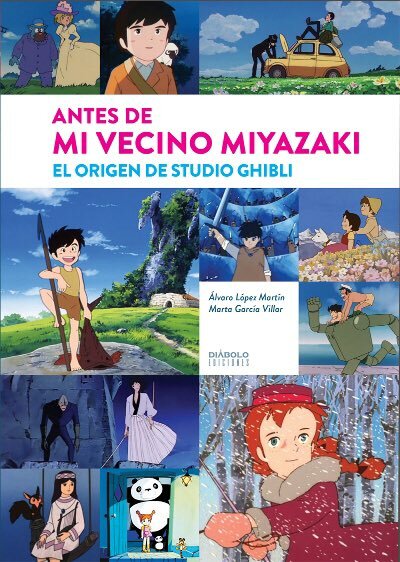 It appears that Father Miyazaki has taken the reins, and essentially put him through film school, with various minor film projects for Ghibli and the Ghibli Museum. Goro's two shorts were very well made, in fact. 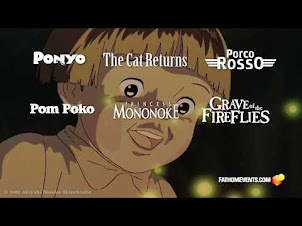 And Ghibli may have found their next-generation director with Yonebayashi-san, and the recent release of The Borrowers. This would take some pressure off the studio. Personally, I'm rooting for him. Now if we could only get Takahata to finally get cracking on his long-awaited Ghibli film, we'd really be cookin'. Goro will have a second crack at the bat. No pressures on him, but that next movie will essentially make or break his career as a film director. The Japanese public has lost their good will (badmouthing mommy and daddy will do that). So everything will come down to Goro, and how badly he wants his success. He will have to earn his father's throne. So there's no pressure at all. But it's okay. 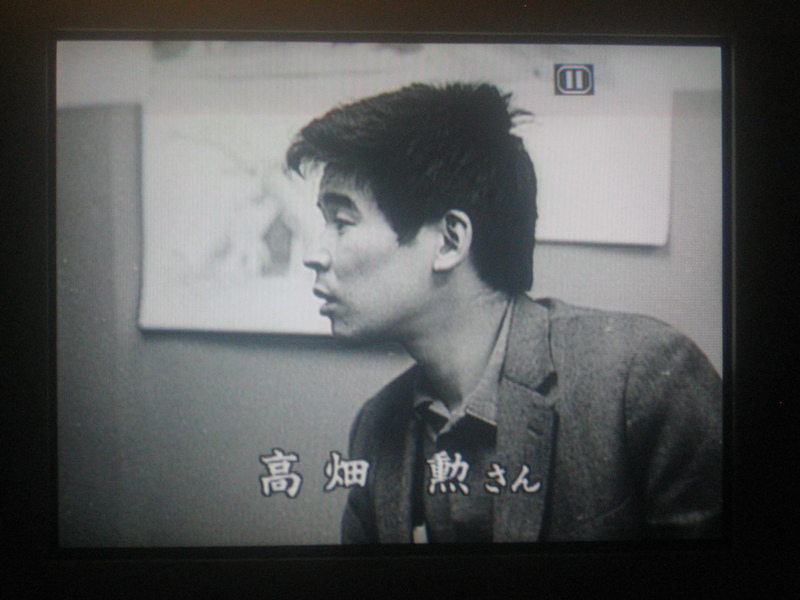 Hayao Miyazaki was in the same place before. Maybe it's the family tradition. Anyway, that's my sort-of official Ghibli Blog take on this topic. You'll notice I haven't talked much about Tales From Earthsea. There's a reason for that. It's not a very good or memorable movie. It's grim, preachy, dull and witless. I watched it four years ago, and I still can't push myself to find anything good to say about it. The family drama is the real show, and everybody knows it. 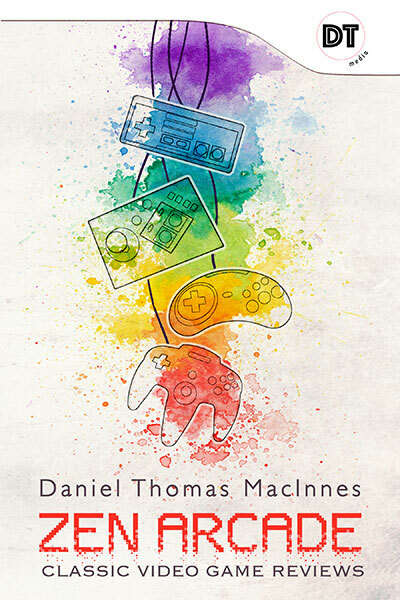 Well done Daniel! That's one of the best reviews of Earthsea I've seen. ooh, you mean the little norse prince valiant! yes, the borrowers does look good, and interesting, and new. thanks for sharing so much material about it on this blog. @asuka: Oops! I probably should have amended that part. I wrote this essay as a comment on Cartoon Brew, and someone there called out "Little Norse Prince." Naturally, I always get peeved when I hear that name, but completely forgot about it when posting it here on the Ghibli Blog. Oh, well, that's what happens when I decide to go on a writing binge at 4am. Thanks for the kind comments, as always! My girlfriend and I are planning on driving down to Seattle from Vancouver (about 2.5 hours) to see this movie on the big screen at the "Harvard Exit". Factoring in the gas, it'll be a bit of an expenditure and effort on our part to see the film. Some would call it a waste of time and money, but I prefer to think of it as supporting the Ghibli effort out West. Plus, based on what little I've allowed myself to see of the movie, the film's backgrounds look very appealing visually. Seeing them on the big screen should be nice. Wow, harsh. Everyone is really down on Goro. I have to admit I wasn't paying attention to the animation scene at that point, but I was under the impression that there was mutual open hostility between father and son. Is it really fair to blame it all on Goro? Yeah, I scribbled all that down at 4am, so I hope I wasn't too cranky. I'll probably have to write a couple in-depth posts where I'm more forgiving of Goro-san. It was one of those things where you begin to write something, but the emotions come out as you're writing. I can't say my feelings on the matter have been wise or smart, but this post does share my frustrations and anger over this movie, and particularly the way the family's inner drama was brought out into the open. Heaven forbid any of us pass judgment on another, just because they're family is screwy. Heck, I know that better than anyone. I am fairly certain that Tales From Earthsea's reputation will change considerably over time. If Goro Miyazaki establishes himself as a filmmaker in his own right, there might even be fans who insist this was a lost masterpiece. It's always hard to say. History has a way of rewriting the past and smoothing out the bumps. Maybe I should post Goro's cat video again? I really liked that one. 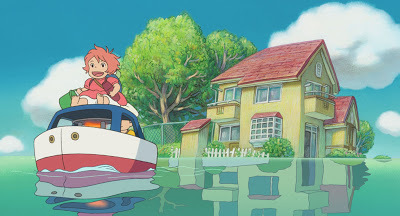 this was the only ghibli film i didn't finished. Speaking of "Little Norse Prince Valiant" (I was probably the one who said it first or second), I noticed MGM apparently dug this out of it's scrap pile and stuck it on Hulu anyone can check out if they can. It's the old AIP TV print in Pan & Scan with the same voice dubbing group who did Puss 'n Boots and Animal Treasure Island. as has probably been pointed out many times, optimum were clearly so embarrassed by the title that they changed it to the little norse prince on the case. still little norse prince valiant on the title card, though! what if they'd gone the other way and compounded the offence? @Chris: Thanks! You rock! I have to remember to check this out. Do they have imbeds for blogs? @Asuka: In all fairness, the title isn't Optimum's fault. "Little Norse Prince Valiant" was the title chosen by the international distributors back in the day. They changed the titles on all of the classic Toei Animation movies. This was just something that was done back then; it's really only in the past decade that anime has become respected enough to be left uncut. It's just a matter of education. I doubt most folks in the business even know Horus, Prince of the Sun exists. But we're working on changing that. 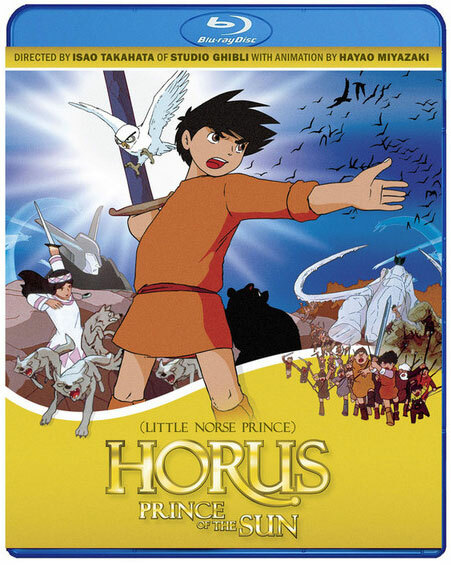 I have begged Discotek several times to release Horuse in the States. 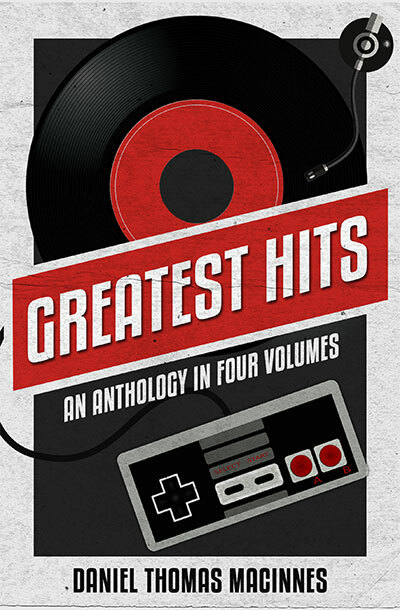 I'd be glad to help with extras, put together a short documentary, even record a commentary track (Ben Ettinger, I sure, could be talked into recording one, as well). Unfortunately, the Toei movies they did release here didn't sell. Anime fans aren't interested in older films, and that's too bad. 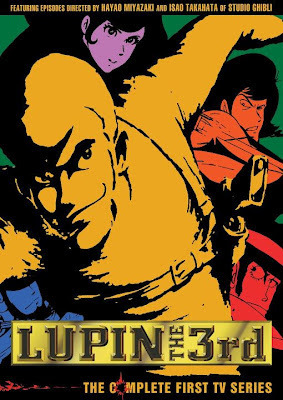 Classic anime (pre-Akira) is a niche within a niche. We need to work on changing that. I am in the minority, but I did enjoy this filmn and chose to over look the family drama and focus on the piece semi-seperat. You make a good point about the opening scene in terms of metaphoric parallels, but in truth, if that is the case, then one can see there is still a story here about someone who is sorry, someone who has to make up for what he has done by saving someone else, someone who is just learning to surpass the shadows of his fears and try to love despite the gloom and doom nature of his past. That IMO is progress and highly profound whether art imitates life here or not. I found the piece to be vague, lyrical, but still understandable on an emotional level--something I think the spirit of the dragons and the restoration of nature with man at it's conclusion resignates still being of love, understanding, survival, need to find one's identity through others, and above all acceptence. @darthlocke: That was an excellent review! I really appreciate hearing your point of view. I think that the Miyazaki Family drama will fade over time, and Gedo Senki will be judged purely on its own merits. It will be interesting to hear what people think once the DVD arrives. A good review of a perfectly horrible movie. Your reference to the Miyazaki family feud is entirely relevant, because the themes of this film are based on that family's disfunction, not the excellent novels of Ursula LeGuin. While the film is Goro's, there were enough mistakes made on this disastrous project for both father and son to share the blame. Ms. LeGuin's comments are fair and mild, in my opinion, especially considering what a betrayal it must have been to see her books turned into the cheap slug-fest perversion Goro Miyazaki and Studio Ghibli spewed out. For once it was a blessing that copyright issues prevented a wider release of this Earthsea film. I don't think time will do much to salvage this movie, but readers in the future can continue to appreciate the literature of Ursula LeGuin. I watched Gedo Senki on dvd (UK release), and I couldn't finish it in one setting. Watched the first 45 minutes, watched the next half hour a week later, finished it still later...and normally I watch movies in one setting. Have to say, though, a lot of the backgrounds look fantastic (no, I'm not being cynical, I really mean it: the city looks great (for instance, the scene with the fountain) and also the castle at the end, and a lot of other scenes). But it's not a great movie. 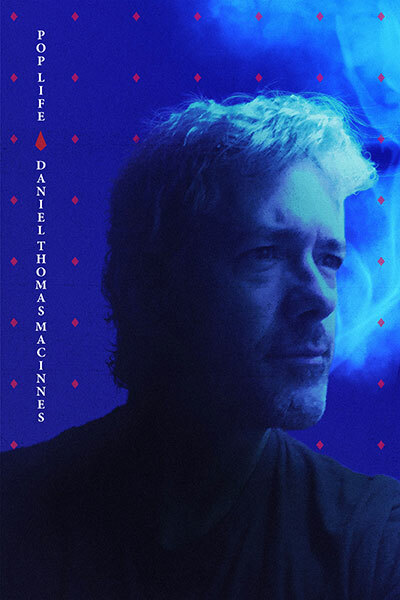 The script is pieced together from stuff taken from different Earthsea novels, and some things that weren't in the novels are added (most obvious example being the "Jim Morrison scene"). Also, the editing of the movie doesn't feel right, and that feeling, that the pace of the movie is somewhat wrong, grows stronger towards the end of the movie. So is the awkward editing the result of the awkward script? I'm not quite sure, but it is a missed opportunity: a lot of the film looks great, and I'm a great fan of Ursula LeGuinn's books. I hope soon somebody will make a good movie of one of her works. The best thing with the film is the song. It's a beautiful song and a beautiful voice. It touches me every time. The film however.. Very weak. But for a novice, a rookie, a first time feature, a debut... I'd say well done! He did it! We have to acknowledge how much work it is to make a freakin feature animation. And Goro did it! The one we should pick on is Hayao. No doubt he saw this weak result coming from day one. He should have swallowed his pride and worked professionally to help him, and Ghibli. I'm sure Goro learned a lot by doing it on his own, but still... Hayao should have guided him in both adapting the script and directing, and we might have had another great Ghibli film. Wow lol. I'm going straight and honest on this: some of these comments are really biased. Some are probably just fans of the original book and so they didn't really cared about the movie. They just watched the movie to try to find in it what they wished to, but since that hasn't happened, they got mad. They didn't really care about the movie. I'll try to comment the original post piece by piece, also. "This had more to do with Ghibli's line of succession than anything else. Goro Miyazaki was picked in a flash, in hopes that he could be molded into his father's career, but without ever properly paying his dues." I have no idea were did you pick these informations. Miyazaki Goro never wanted to direct movies, but he liked Ursula's books. Since his father was working on Howl, he decided to give it a shot despite Hayao was against it. It was just a coincidence\chance. I don't think anybody expected to bring him into his father's career since he himself always said he wasn't interested in that. "Then, after piling on the family melodrama in public, Goro arrives with a movie that shamefully steals from his father. WTF?! He rips off the castle chase from Puss in Boots. He rips off the 1982 manga The Journey of Shuna. He rips off Nausicaa and Heidi. He rips off the battle with the wolves from Horus, Prince of the Sun" WOW. Do you REALLY think that those can be called "Rip-offs"? Are you serious? That's the funniest thing I've ever read in a while. Yeah, and Miyazaki "Ripped off" Tezuka. Come on, let's be serious. I don't even really feel the need to explain something that is just interpreted in such an funny way. Ursula's comments seems the only thing that makes some sense, here. Those are honest and well thought comments, although, honestly, there isn't a SINGLE ONE book that Studio Ghibli used in what people would call "a respectful way". When Kiki was made, the original author got mad. Howl is different from the book. Spirited Away too. And, to be honest, I think that they did well. Books that just become have have no reason d'etre at all. Books that can inspire movies, have. DAX objects to the comments of others, implying that those opinions are unsubstantiated facts, yet DAX seems to think he (or she) is an authority on other blogger's and the film maker's actions, thoughts and motives, and offers nothing to back up his (or her) delusions. For example, Dax states " Miyazaki Goro never wanted to direct movies" and "I don't think anybody expected to bring him into his father's career since he himself always said he wasn't interested in that. " 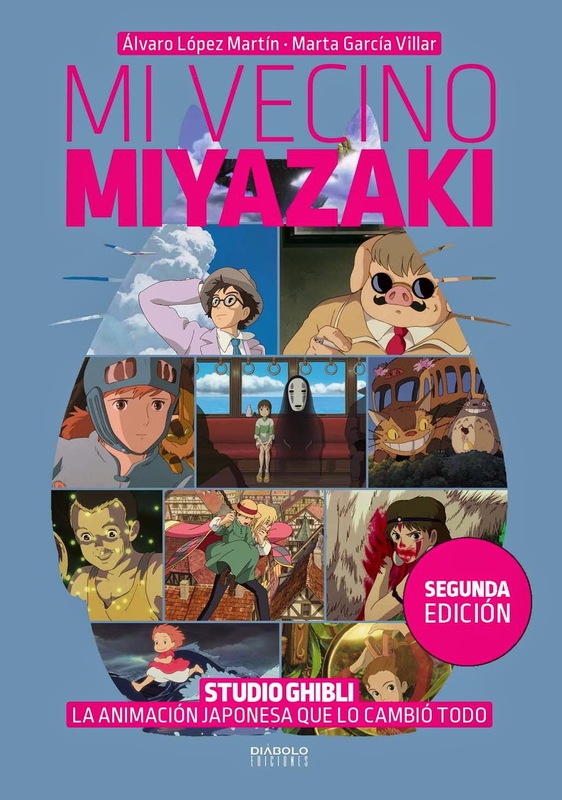 Well DAX, SOMEBODY expected and wanted to make that movie, because it was made by Goro Miyazaki and Studio Ghibli, right? DAX writes:"I have no idea were did you pick these informations." " I really don't know what the hell you're talking about here... " " I don't even really feel the need to explain something that is just interpreted in such an funny way." and finally " Books that just become have have no reason d'etre at all." I'll give DAX points for passion, but "honestly" his critique and painfully poor prose are not the " funniest thing I've ever read in a while. " Perhaps DAX should have his mother or teacher look over his comments before he (or she) publishes them (twice). I'm surprised by this review and the comments. 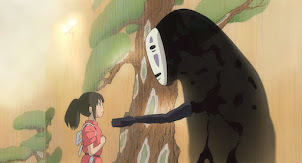 I genuinely love this movie, and rank it amongst the rest of the Ghibli films. Family drama adise (which I didn't know about prior to reading your post) this just in no way stood up to any Ghibli standards. What I found most upsetting is the poor pacing, longer than necessary runtime, the weak plot, uninteresting characters and lack of exposition/backstory on, well, anyone. Some scenes we're very beautiful but this just felt very flat and hollow.